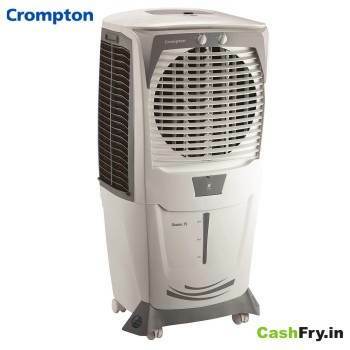 Amazon Offers Symphony Air Cooler, Crompton Air Coolers and other brands @ up to 40% OFF. You have to simply Activate the Deal as no code is required. It has a Capacity of 75 Litres. It is ideal for a room size of upto 370 Sq Ft.
Buy Air Conditioners at up to Rs. 15000 off at Croma. There are Window air conditioner and split air conditioner. Buy ACs in different capacities from 0.75 ton – 2 ton and more. Top brands – Samsung, Hitachi, Carrier etc. No coupon code required. Amazon offers Geysers Online at up to 50% off. There are different brands such as Bajaj, Kenstar, V-Guard, Havells, Hindware, and others in different capacities. You can buy according to your budget and requirement. You do not need any coupon code or promo code. Air Purifier Online at up to 60% off. Amazon offers Car Air Purifiers, Hepa Air Purifiers, Office Air Purifiers and Home Air Purifiers. Some popular brands are LG, Philips, Honeywell, Whirlpool, Kent and more. You do not need to apply the coupon code or promo code just simply activate the deal. Snapdeal Offers Best Air Conditioners at up to 43% Off for the best brands Voltas, Blue Star, LG, Carrier, Hitachi, Samsung, Haier and many others. You can buy 3 Star, 5 Star Air Conditioners with Inverter the new Technology. Coupon Code or promo code not required. Shop Now! Home & Kitchen Appliances up to 50% off. PaytmMall offers Home & Kitchen products – Cookware, Kitchen Storage & Containers, Tools, Kitchen Tools, Gas Stoves, Dining & Serving, and Led & CFL Bulbs. Some more – Furniture, Home Furnishings, Home Decor, Home Care, Bathroom Accessories, Hardware Fitting, Kitchen Products, Bakeware, Gardening Products and many more. Brands – Nilkamal, Just Linen, Salona Bichona, Orka, Raymond, Bombay Dyeing, @home, etc. Buy Home & Kitchen appliances online at Paytm. Buy Home Appliances Online at up to 50% off. Snapdeal has offered wide range of home appliances from top brands. Home appliances – Irons, Sewing Machines, Vacuum Cleaners, Security Systems, Air conditioners, Air coolers, Washing machines, Refrigerators, Fans, Geysers, Heaters and more. The top selling brands – LG, Voltas, Bluestar, Carrier, Hitachi, Philips, Samsung, Sony, Eureka Forbes and more. Check out now Snapdeal wide collection of appliances from top brands at reasonable prices. Buy Home Appliances Online Shopping up to 30% off at Amazon. Amazon offers wide range of appliances for home at best prices. Appliances – air conditioners, air coolers, refrigerators, fans, water purifiers, juicers, washing machines, dishwashers and more. Some top selling brands – Godrej, Samsung, Whirlpool, LG, Videocon and Haier. Check out Amazon collection of home appliances at hefty discounts. 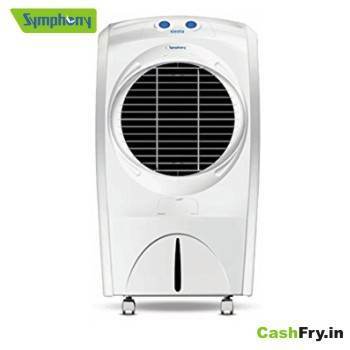 Buy Air Conditioners Online up to 40% off at Shopclues. Shopclues has offered wide range of Window Air Conditioners, Split Air Conditioners, Inverter Air Conditioner and Portable Air Conditioners. There are some of the top brands – Voltas, Haier, Videocon, LG, Carrier, Daikin, Hitachi, Lloyd, O General, Onida, Panasonic and more. Air Conditioners have capacity from 0.75 ton to 2 ton. Air Conditioners have some top features – De-humidification, Low Noise Level, Filters, Auto Clean, Sleep Mode and more. Browse through their wide range of top branded air conditioners and save hefty money. Home appliance is any product, electronic or mechanical used that home. There are refrigerators, washing machines, televisions (TVs) and many other products which are used to ease domestic needs. At CashFry, there are plenty of discount Coupons, Offers, Promo codes and deals as given above. You can buy home appliances products up to 40% discounts. A refrigerator is the basic need of every home. There are many models, sizes, and brands of refrigerators. The prices start at Rs. 5,000 to Rs. 1.5 lacs. It all depends upon your requirement. There is a mini fridge, double door and side by side refrigerator from top brands such as Samsung, Whirlpool, Haier, LG, and others. You can check out the above Coupon which offers up to 30% discount on various models. There is refrigerator exchange offers wherein you can get up to Rs. 15,000 discount. You can get rid of your old refrigerator and buy the new one in exchange. There are similar discount Offers, Coupons, Promo codes for shopping Washing Machine, TVs online at the tops stores such as Flipkart, Amazon, Paytm and others. There is even up to 50% discount on some of the products. You can get cash back if you use your debit card and credit card because now banks like ICICI, HDFC, SBI, and others offer cash back for using their cards. You can place an order with a few clicks and can get the refrigerators, washing machines, TV set delivered to your doorsteps. Get Home Appliances Coupons, Offers, Promo codes to shop Refrigerator, Washing Machine, TVS, and many other Home Products at Discounted Prices. All Top Brands Sony, Samsung, LG are available.